Please forgive the excessive alliteration. 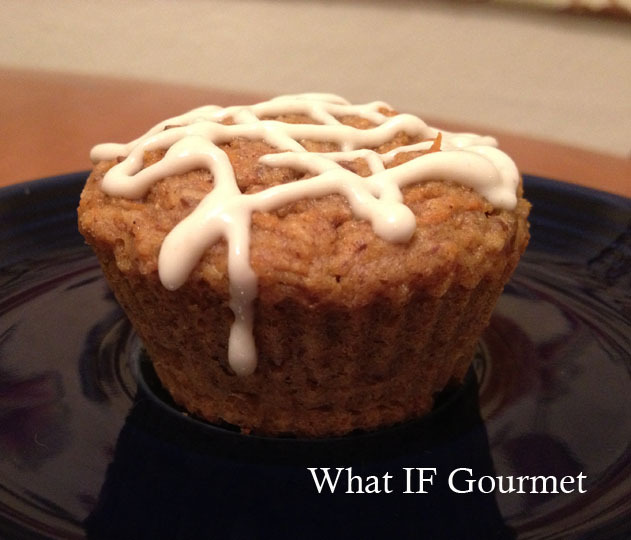 As promised, here is my gluten free, dairy free spin on carrotcake, sized down to oh-so-portable cupcake form. I call these cupcakes because I really do consider them a worthy dessert, in spite of their nutritious ingredients and low sugar content (compared to traditional carrot cake). However, if you want to bake them for breakfast and call them muffins, I’m not going to judge you; they are also good fuel for starting the day. They are light and moist, and equally treat-like with or without icing. This recipe has been heartily approved by both gluten-free eaters and wheat-loving eaters. The Gent loves these cupcakes so much that when I recently baked them as a thank-you for some generous friends who stocked my cupboard with alternative, gluten free flours, he insisted that I make a double batch so he could have some, too. I was happy to oblige. 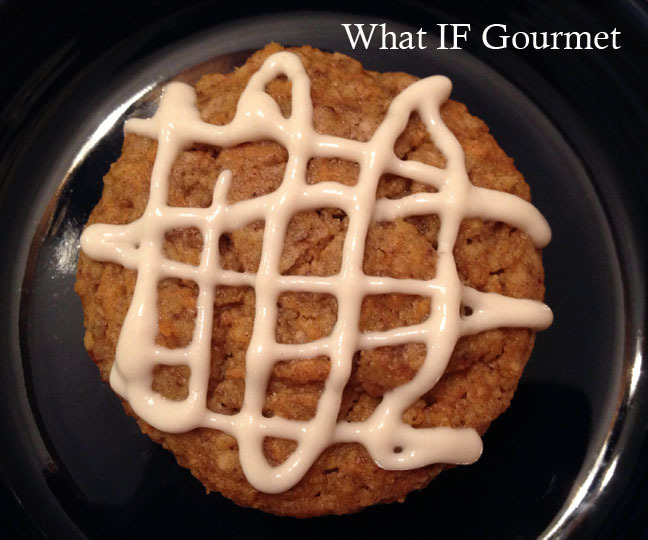 I’m not a fan of xanthan gum, and have been experimenting with other ingredients to avoid it. 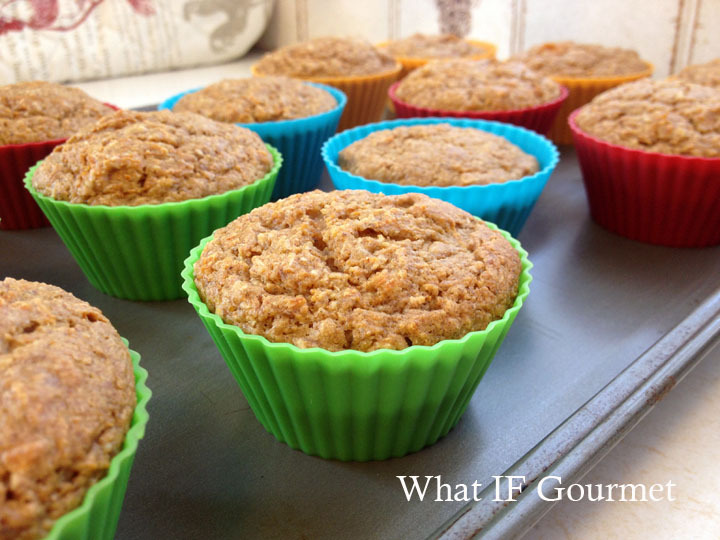 This recipe uses pectin-rich applesauce and sweet potato flour, both of which hold moisture and prevent the cupcakes from turning into the dry, crumbly mess so typical of many gluten free baked goods. A little psyllium husk adds extra texture and fiber. Finally, using pureed dates as part of the sweetener cuts down on added sugars from the agave nectar and also contributes to the satisfying mouthfeel of these moist, tender goodies. Pour 1/3 cup water over the dates, and heat in the microwave or a small saucepan until the water starts to boil. Set aside to soak while you assemble the other ingredients. Preheat the oven to 350 F. I use silicone muffin cups laid out on a baking sheet, but if you bake with muffin tins, then grease or line a 12-cup muffin tin. Whisk together the dry ingredients (including the shredded coconut) in a large bowl. Combine the wet ingredients, including the dates with their soaking liquid, in the canister of a food processor or powerful blender. Puree until smooth and frothy. Stir the wet mixture into the dry ingredients. Gently fold in the shredded carrots until well combined. Spoon the batter into the prepared muffin cups. You can fill the cups almost to the top, because gluten free baked goods don’t rise quite as high as those made with wheat flour. Bake for 25-30 minutes, or until tops spring back firmly when touched. Makes 12 cupcakes. Store in an airtight container at room temperature for up to a week… if they last that long! The caramel flavor of the icing comes from raw agave nectar. You can add a splash of vanilla or coconut extract as well, but I like the subtle flavor of the agave nectar itself. Soak the cashews in 2 cups cold water for at least an hour before making the icing. Drain the cashews and place them in a food processor or powerful blender (I used a Vitamix). Add the agave nectar. Open the can of coconut milk and skim off the coconut “cream,” which should have separated and firmed up in the refrigerator overnight. Add the coconut cream to the food processor and reserve the coconut water for another use. Blend until smooth and creamy, adjusting the flavor with vanilla or coconut extract if desired. Store the icing in the refrigerator, and drizzle over cupcakes before serving. 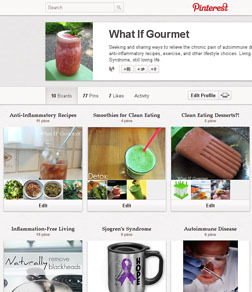 This entry was posted in Anti-Inflammatory Ingredients, Breakfast, coconut oil (virgin/ unrefined), Dairy-free, Desserts, fruit, ginger root, Gluten-free, Nut-free, nuts, pumpkin/squash/gourds, Recipes, root vegetables, seeds, Snacks, spices, Vegetarian. Bookmark the permalink. That might push me into gratuitously UNforgivable alliterative territory… lol! So glad you liked them! And thanks again for the arsenal of flours! These look DELICIOUS!! I can’t wait to try this out!! I hope you’ll like them. If I remember correctly that you have mixed feelings about coconut, then you could try subbing ground pecans or walnuts.